EQNext and EQNext Landmark will allow players to sell house layouts (design blueprints), harvested materials, and pretty much anything they can create on the in-game Marketplace. As Zjeven opined on our sister site EQNWire last week, it would have been incredibly unfair had PlayerStudio remained open to US audiences alone. @ItsLorgarn @DexellaCM Some things have an SC *option* but currently there’s nothing that is SC *only* except Player Studio items. Sounds like progress to me. Nice to hear. Awesome, my mount in the form a naked dwarf that gives you a piggyback could see the light of day yet! If you can get the dev’s to let that through and also have them make it talk, I would absolutely buy that. 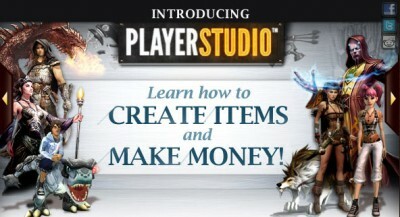 Can’t wait to see what the European artists bring to player studio! This is really exciting!